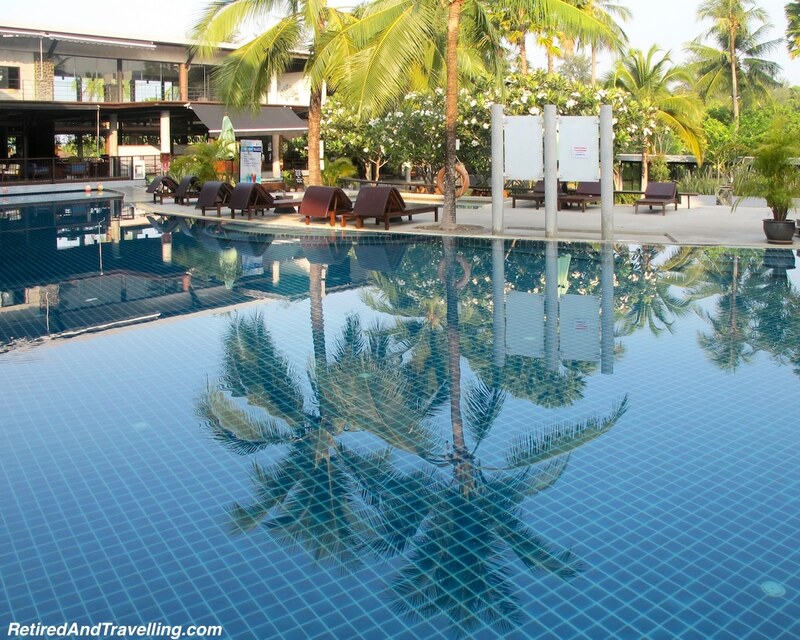 Our trip to Ao Nang Beach in Krabi, Thailand for a week was planned as a resort break. After visiting Singapore and then Bangkok, we needed some beach time. 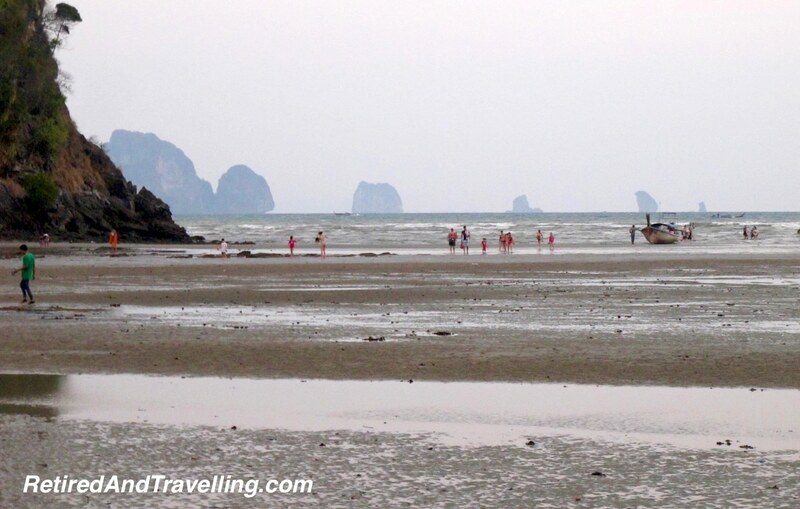 The beach area of Krabi is a great choice in Thailand. 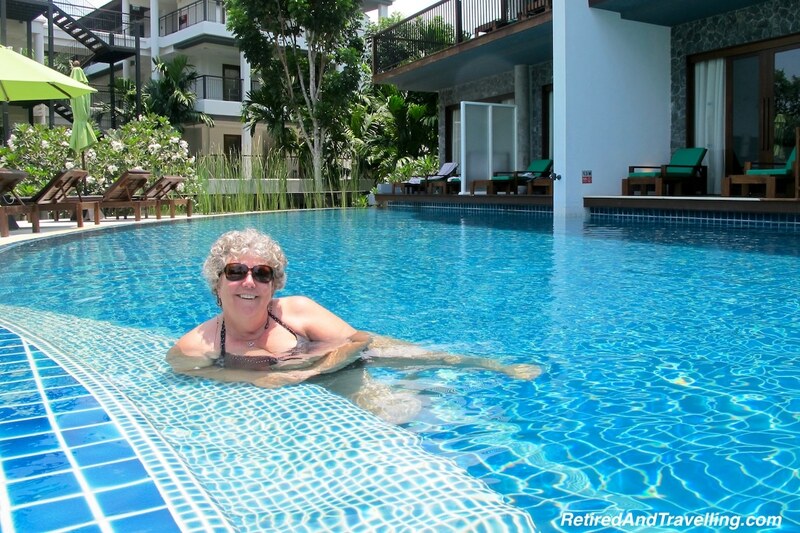 We knew we would find lots of things to do in Ao Nang Beach. 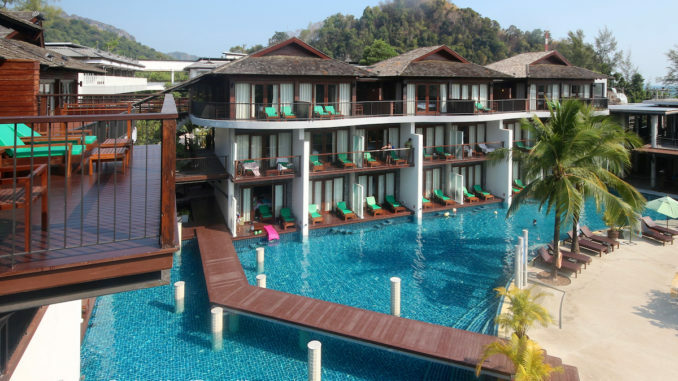 There are a lot of beach resorts in the Krabi area of Thailand. We looked at several options and finally decided to stay with the Intercontinental Hotel Group (IHG) chain of hotels. 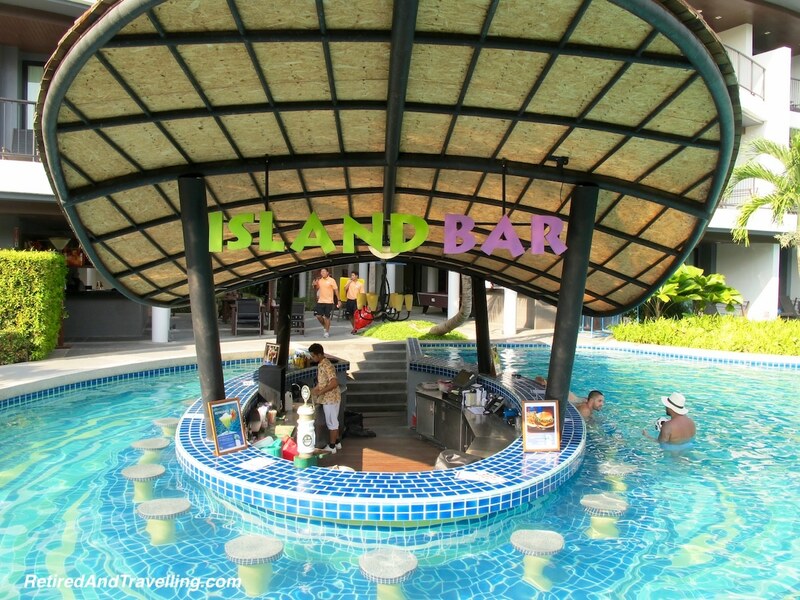 We had been getting great customer service at IHG resorts and the Holiday Inn Krabi Resort looked like the place for us. 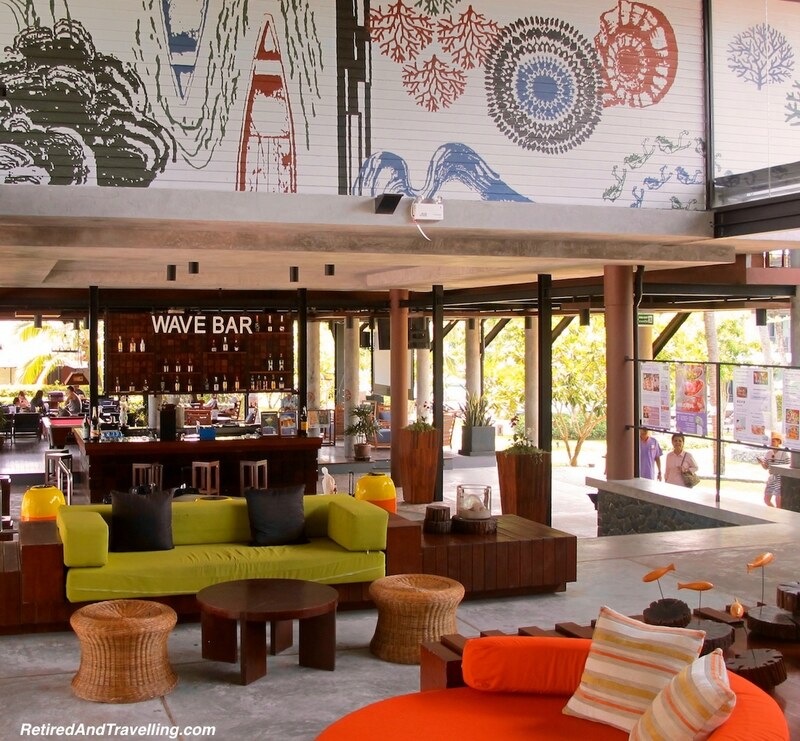 If lazing at the resort is on your list of things to do in Ao Nang Beach, pick a great one. 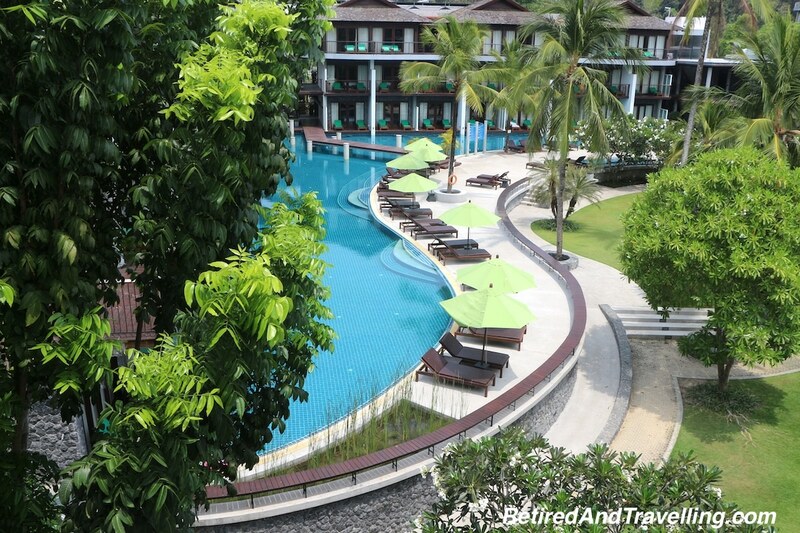 The Holiday Inn Krabi Resort was spread out over 2 building complexes with large pools on each side. 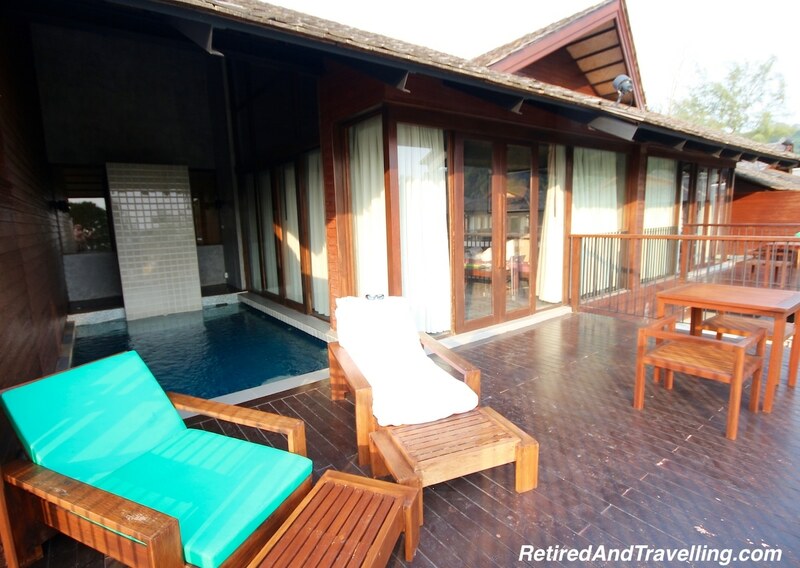 We found it to be a great resort to enjoy a lazy time while pampered by the excellent customer service we experienced. This princess thoroughly enjoyed her time on the resort! 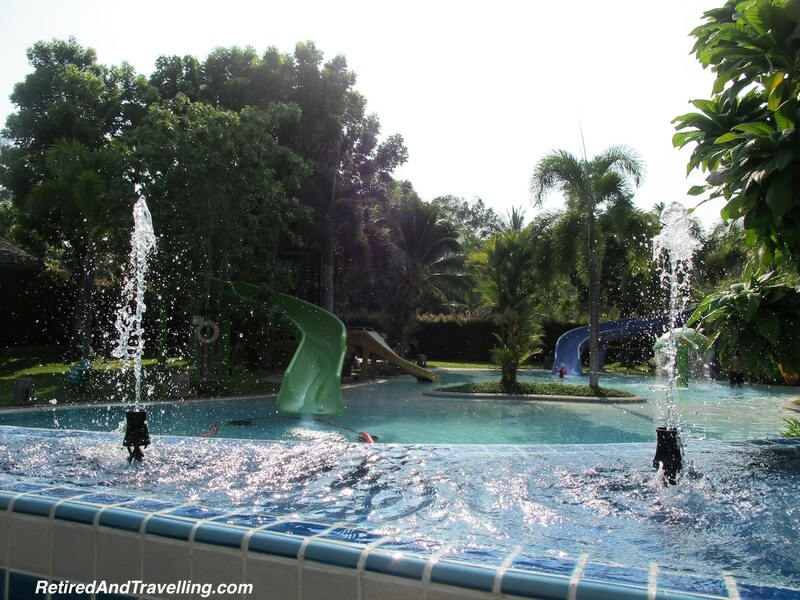 There was one main pool and another pool for families fully outfitted with a water slide. 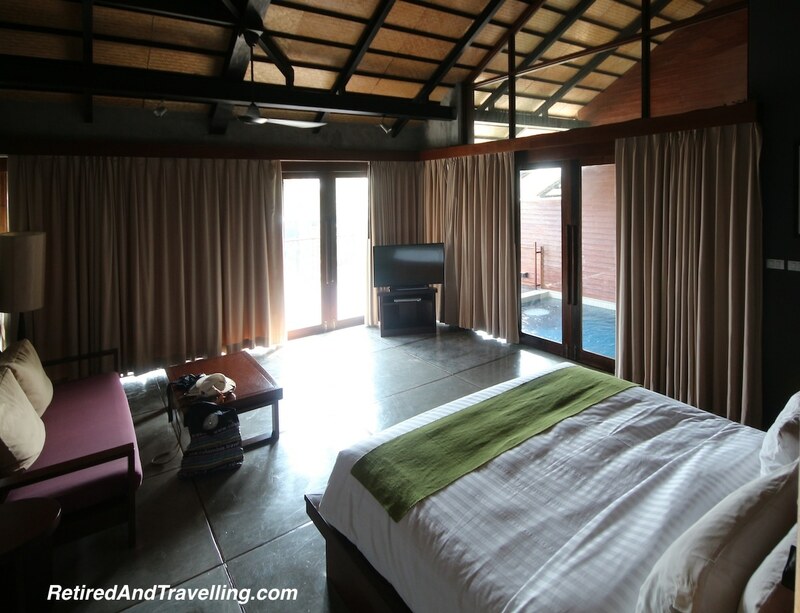 The rooms on the lower levels even had swim up access. With lots of loungers around the pool, people can relax in the sun or under the umbrellas. If you needed a drink, there was never a bar far away. Our awesome penthouse suite on the top floor even had a private pool and an outdoor shower! 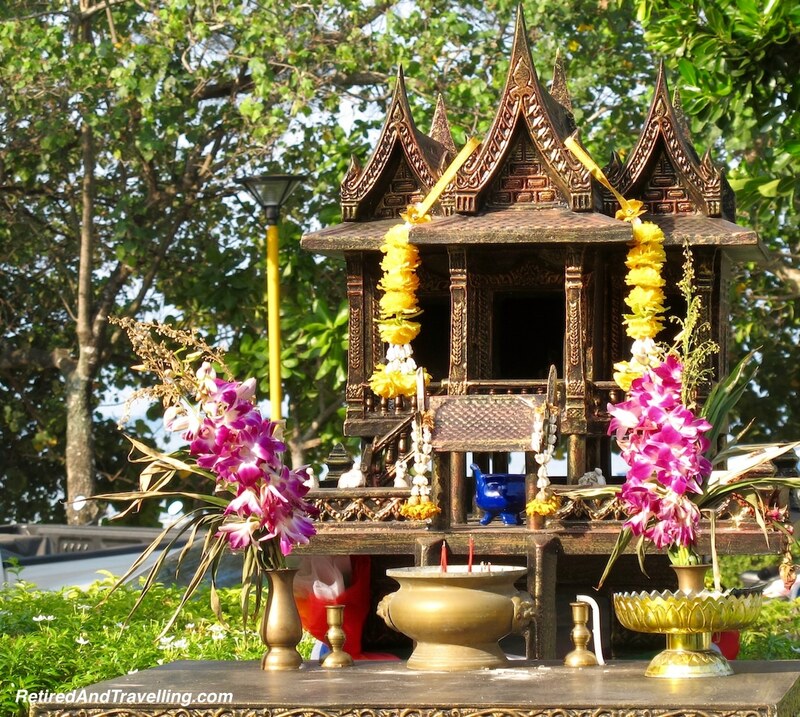 As we had found travelling in Bali and then in in our tour of the temples of Bangkok, there were private temples on the grounds and offerings were made several times a day. We always like to be close to a beach on our travels. Walking the long street of sandy beach, watching sunsets and enjoying the boat traffic are some of the great things to do in Ao Nang Beach. Our resort was located just across the street from the beach. 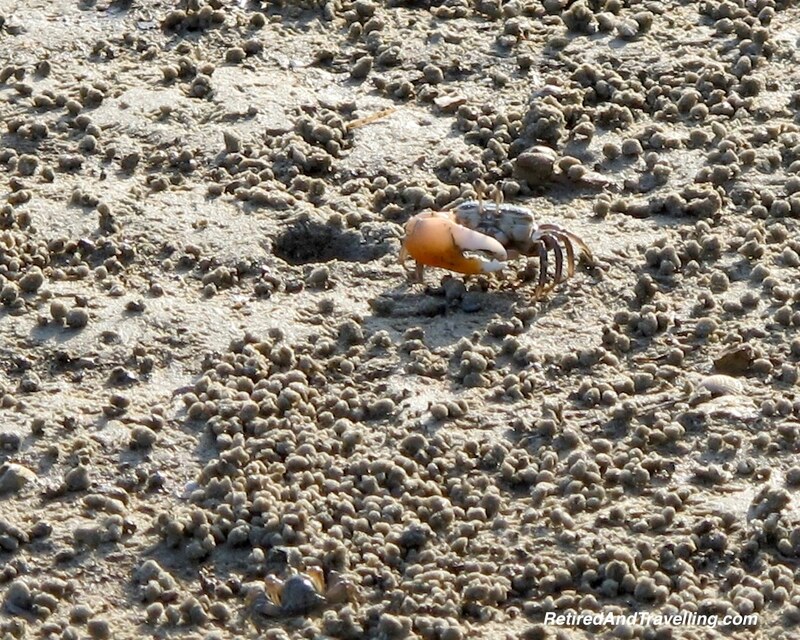 It was another shallow mud beach, populated by snapping crabs at low tide. 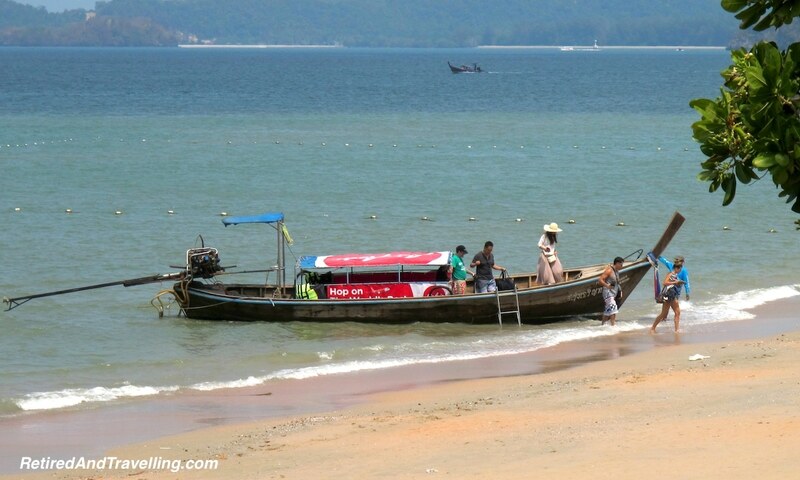 When the tide came in, the long-tail boats could come up to shore and were available for short hops to local spots. If you walked along the beach road in either direction, you would find much better beaches with wider stretches of white sand. The sunset over the water was a great draw for both locals and tourists. 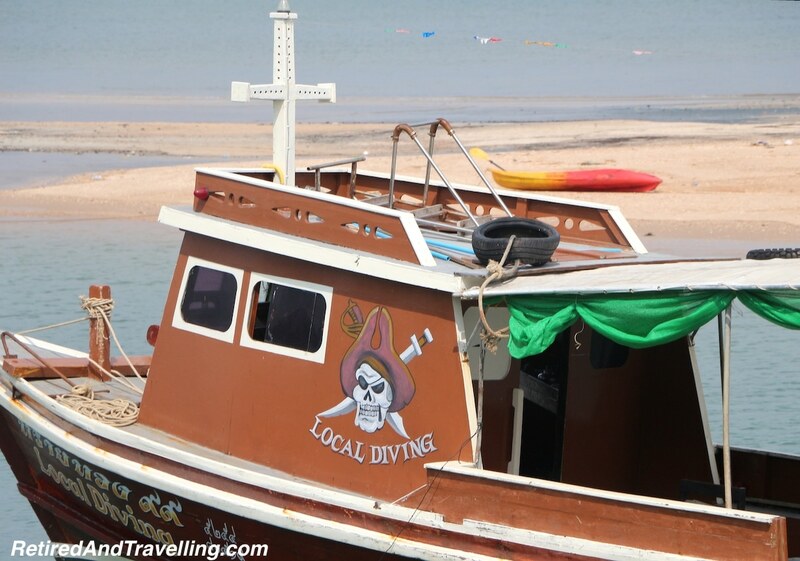 You can find lots of things to do in Ao Nang Beach by just wandering around. Walking along the beach road you could find a variety of different restaurants and stores. 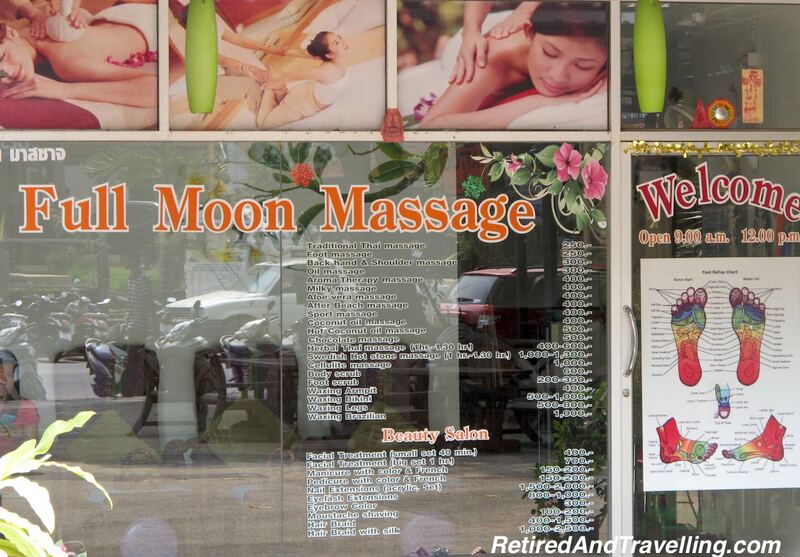 Thailand is a great place for great priced spa treatment. 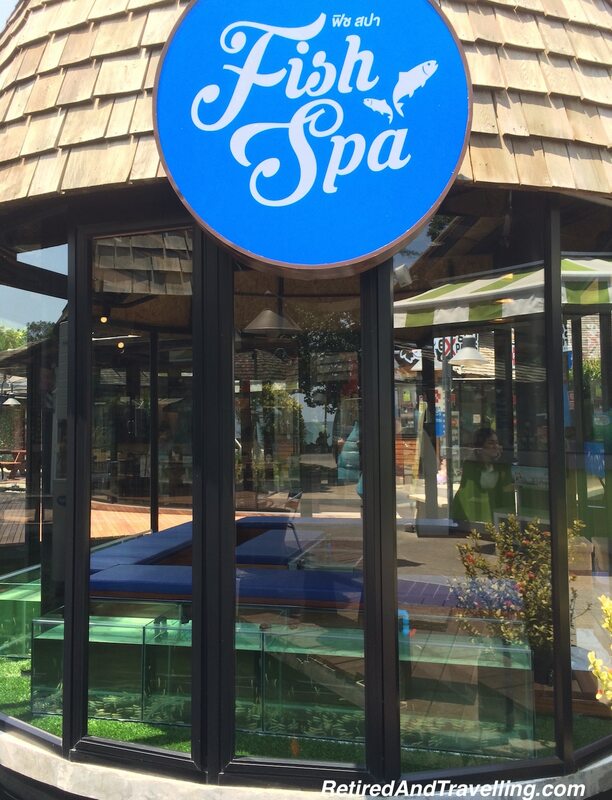 You can even try getting a fish pedicure. Remember that 100TBT (Thai Baht) is about $3.50 Canadian! Our favourite treat during our stay had to be the fried ice cream. 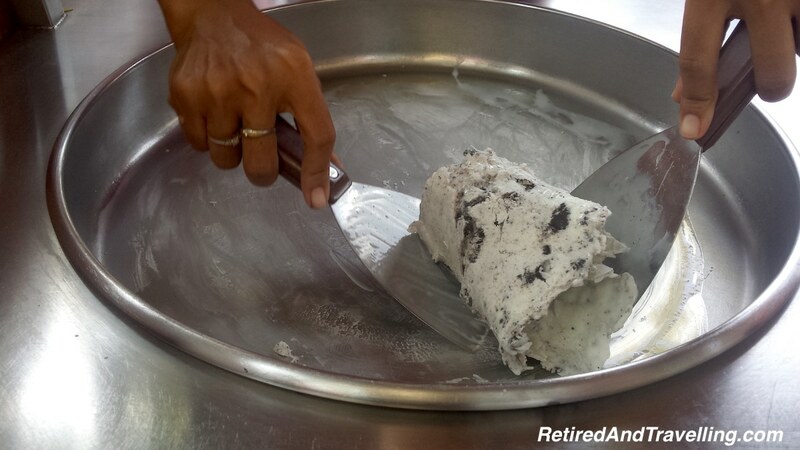 You could watch the ice cream solidify as the milk was moved about the ice cold plate (-30 degrees) and various ingredients were chopped into the ice cream. 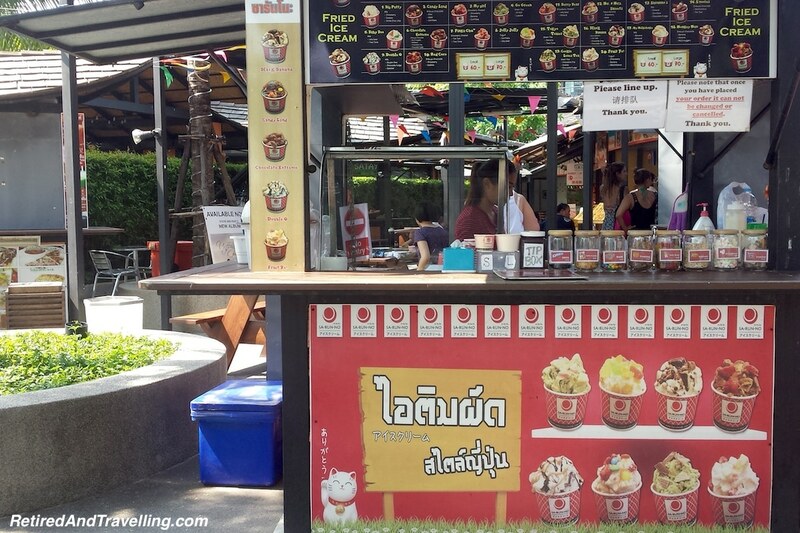 If you walk into the main street of Ao Nang Beach you will find a variety of shops, restaurants and the recommended spot for good coffee (Cafe 8.98). 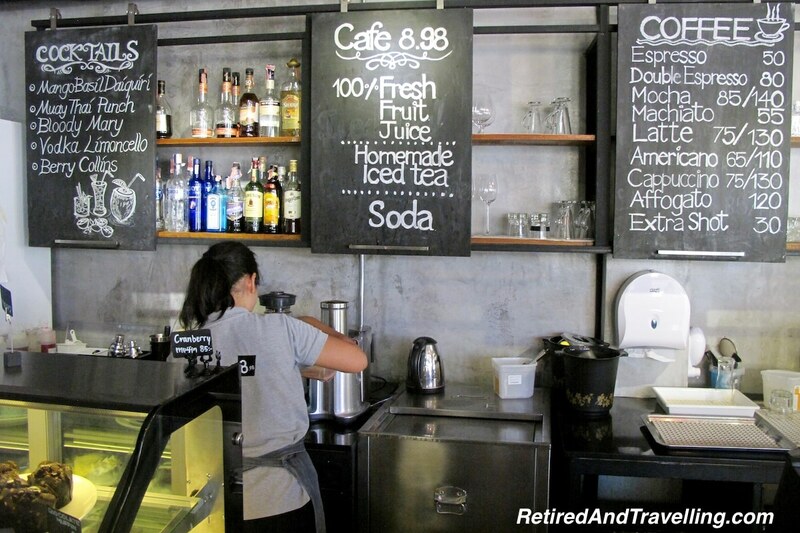 While this was better than the hotel coffee, it was nowhere as good as we had found coffee in the rest of SE Asia. 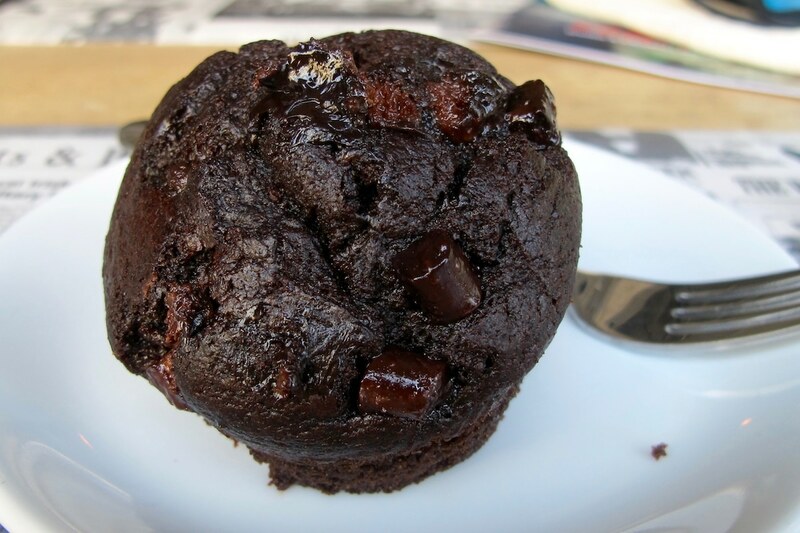 But the chocolate muffin kept chocoholic David happy! 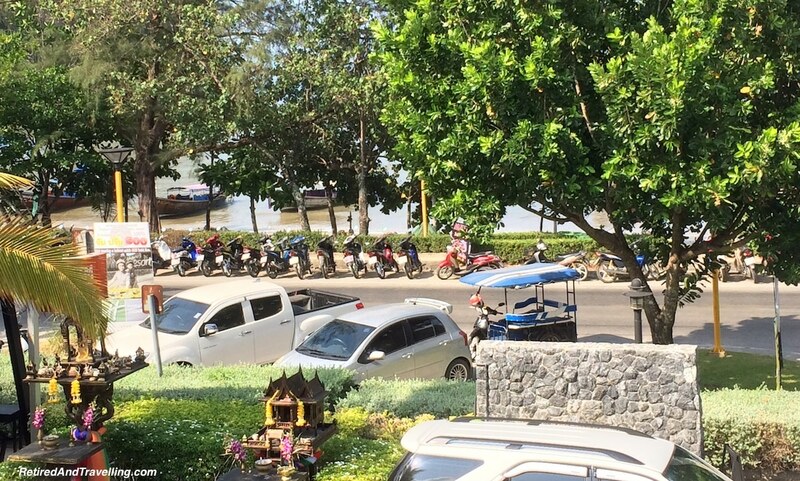 As you stroll along, be prepared for constant calls of “Taxi, Taxi” and the offers of a great Thai massage (sometimes with ‘happy ending’). Just smile and say “mai kha” (for female speakers) or “mai krap” (for male speakers). When you are learning your simple Thai phases you will first learn how to end most phrases – “kha” for female and “krap” for male. David did learn to be careful not to use “kha” since he might be mistaken for a “lady boy”. A “lady boy” refers to a male who dresses as and adopts the mannerisms and identity of a woman (Thais use the term kathoey). We had no idea how prevalent we would find reference to lady boys in Thailand. 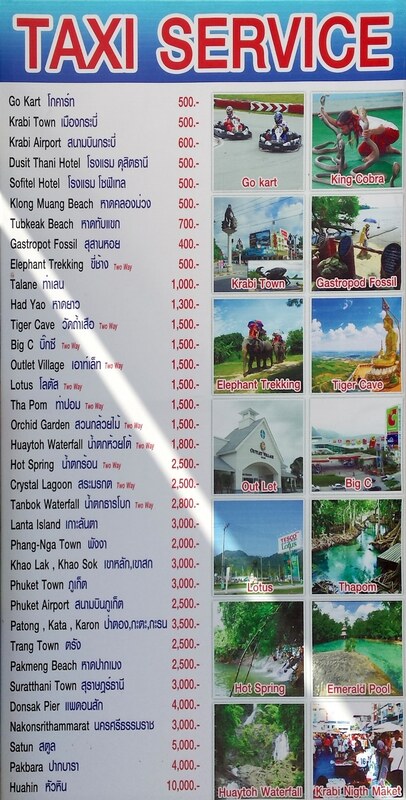 You can take a day trip for more things to do in Ao Nang Beach. 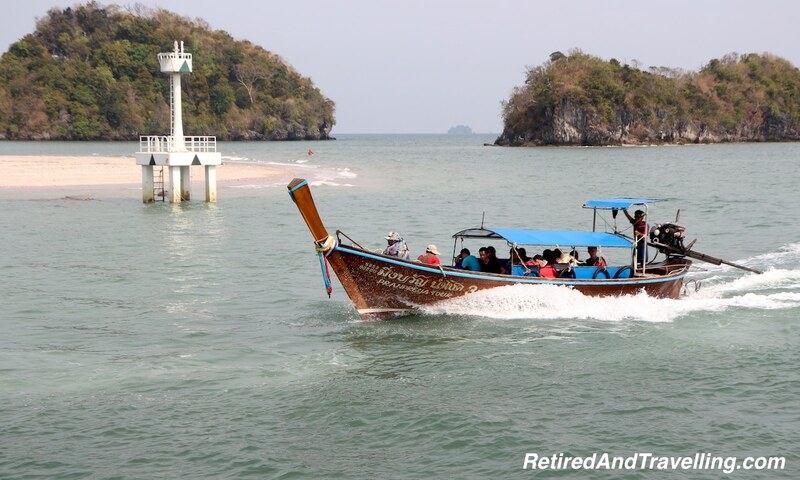 A wide variety of tours could be booked from the hotel to sites around the Krabi beaches area. 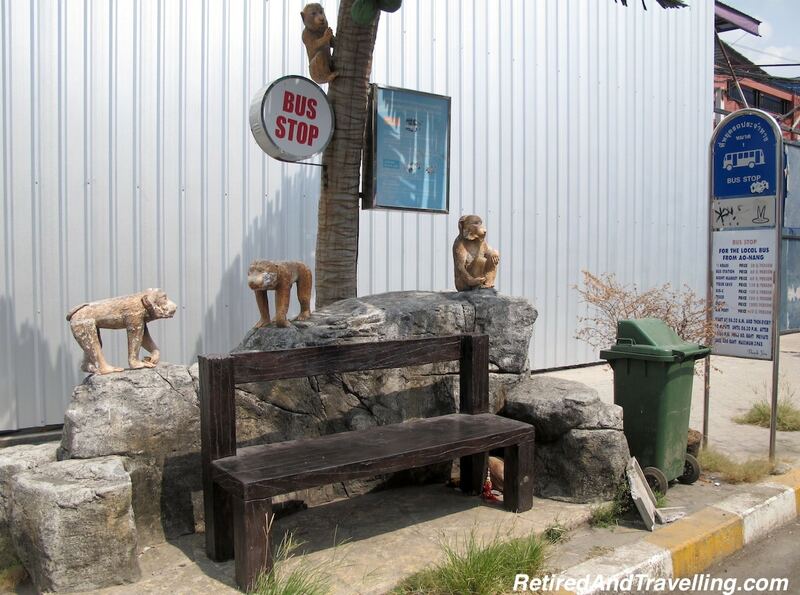 If you wanted to wander off on your own, the taxi stand across the street offered one and two way “taxi” trips to various spots or a tour around Ao Nang. You had to be careful when you saw a taxi sign. 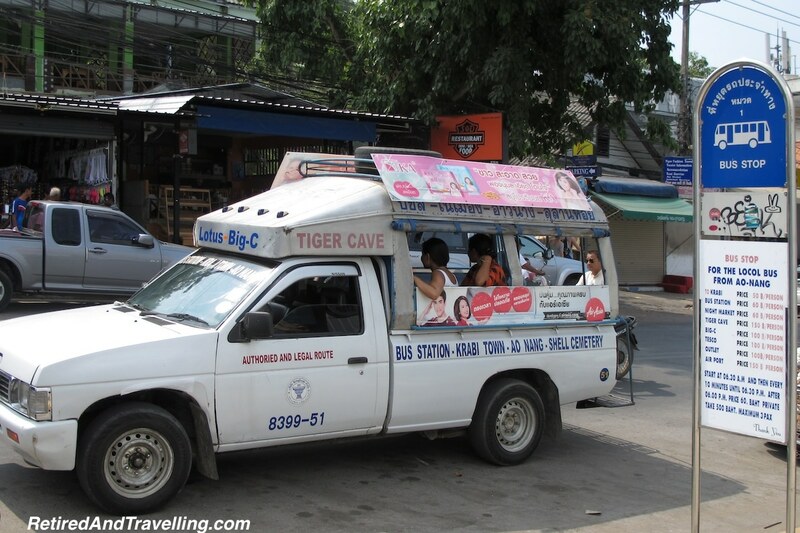 While there were certainly a small number of real taxi cars, most of the taxis in this part of Thailand were actually scooter powered 4 seaters under a small canopy. The local buses (songthaew for “two rows”) offered about the same level of comfort. The open pick up trucks packed passengers onto a bench seat. 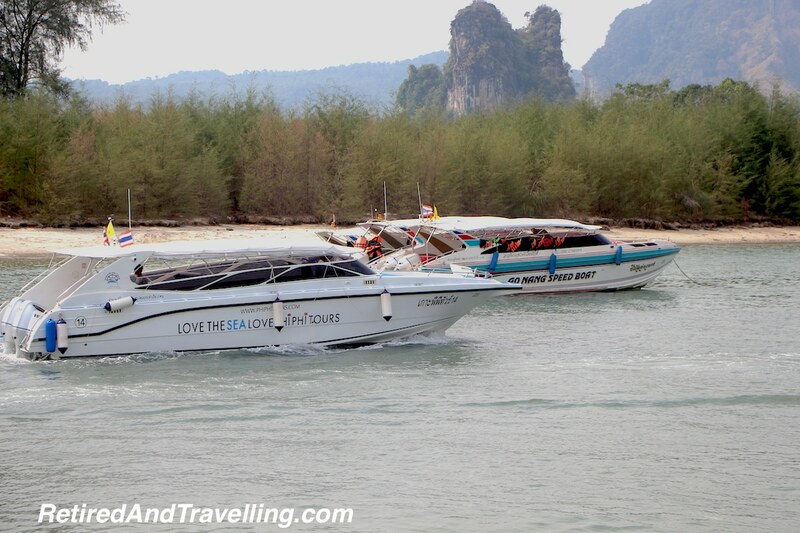 If you walked down to the Ao Nang Beach, you would find a much wider set of tour boats. You could go by long-tail boat, fast speedboat or larger cruiser. 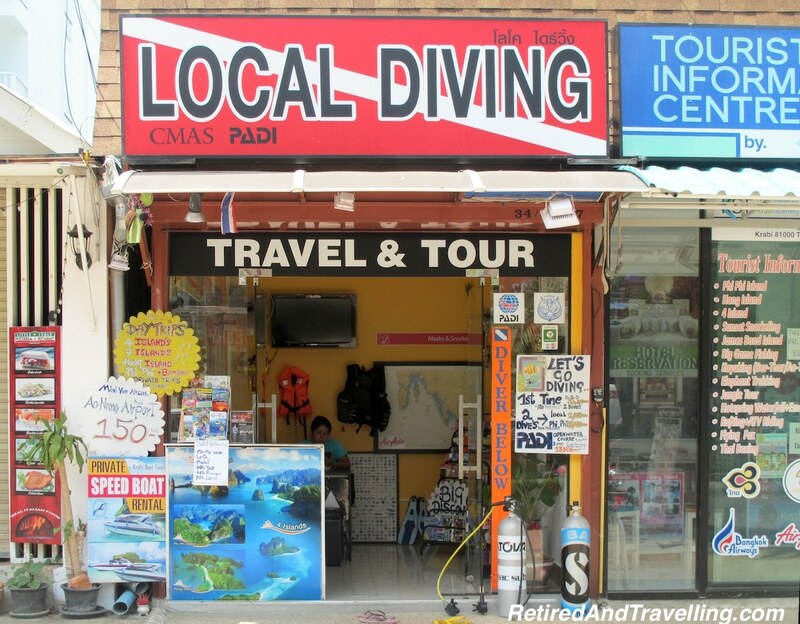 If you were looking for scuba diving, there were many scuba shops with a wide variety of day trips. 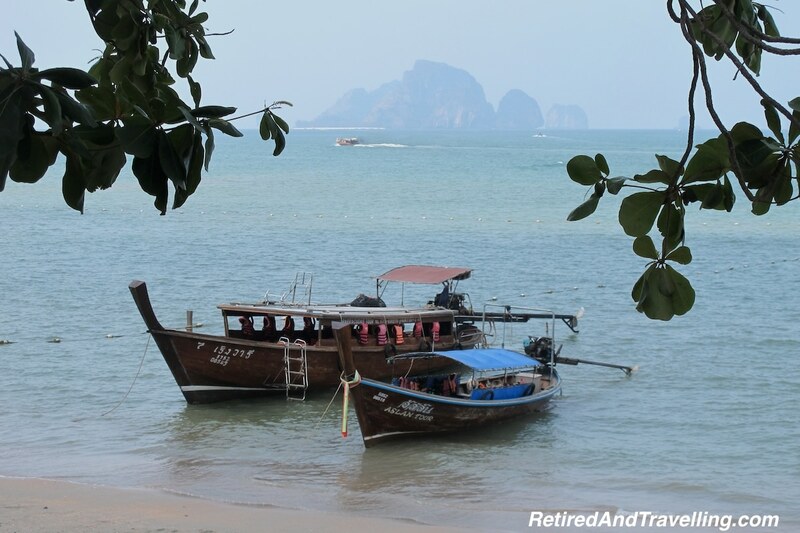 One of the favourite things to do in Ao Nang Beach is to grab a long-tail boat and go to Tonsai or Railay Beach for the day. 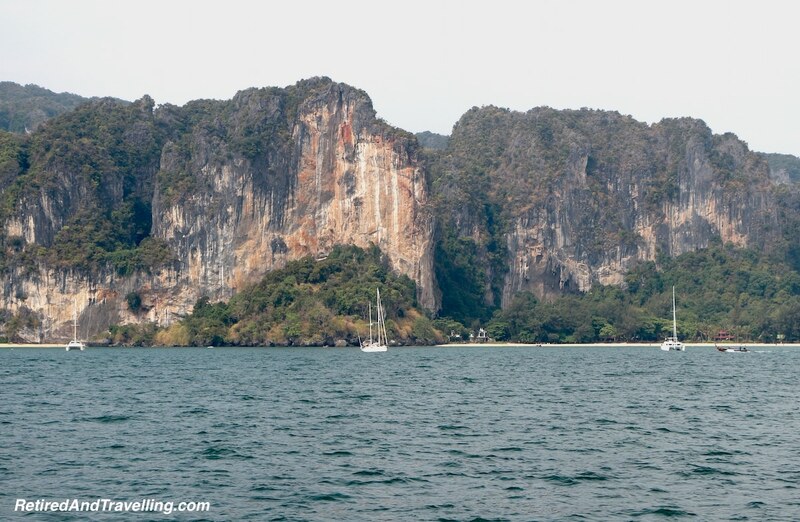 I had really wanted to stay at Railay Beach when I was booking our accommodations. After I read the online reviews that talked about carrying your luggage from boats over the wet sand, I decided that maybe that wasn’t the spot for us. 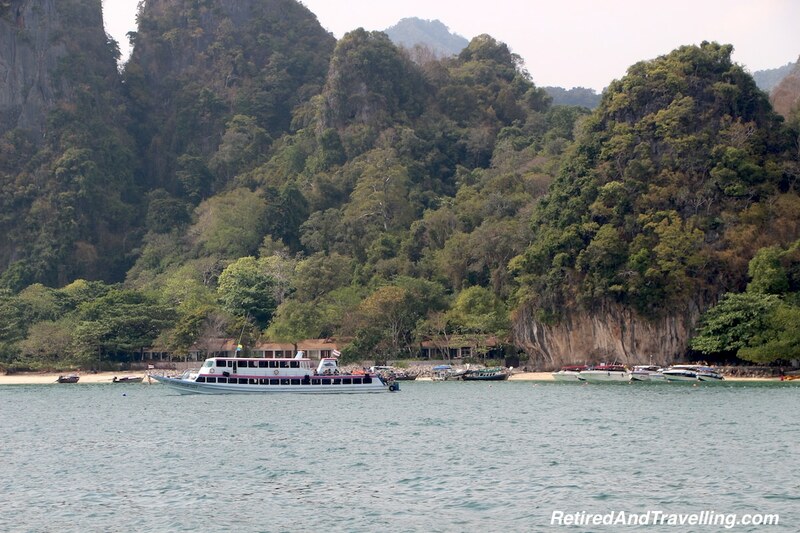 When I saw the secluded beach at Railay Beach, I wished maybe I had opted for a few days there. After all, I did get rid of my big rolling bag! 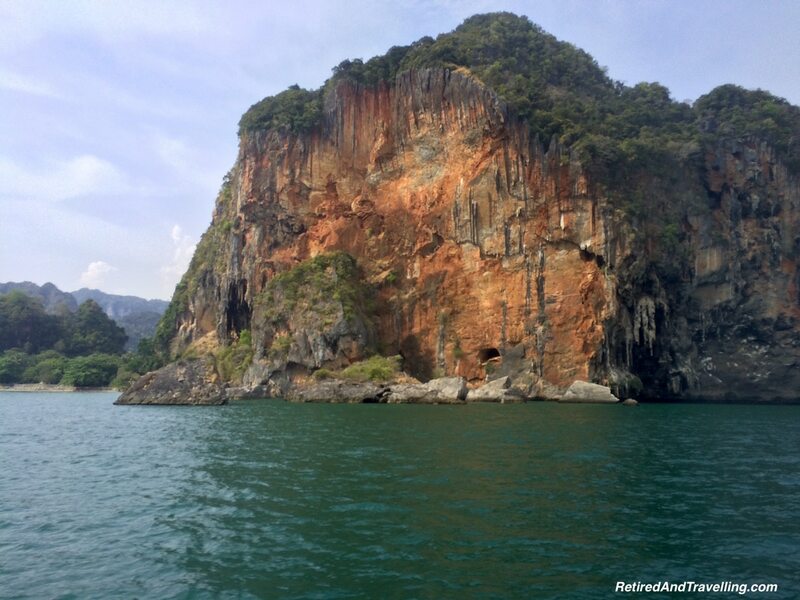 Coming into Tonsai and Railay Beach, you will be awed by the limestone cliffs. 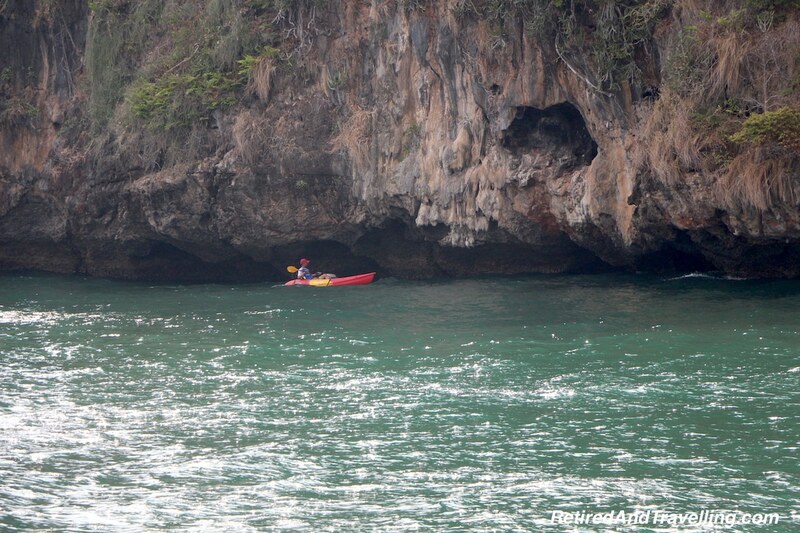 We could see kayaks exploring along the shoreline. 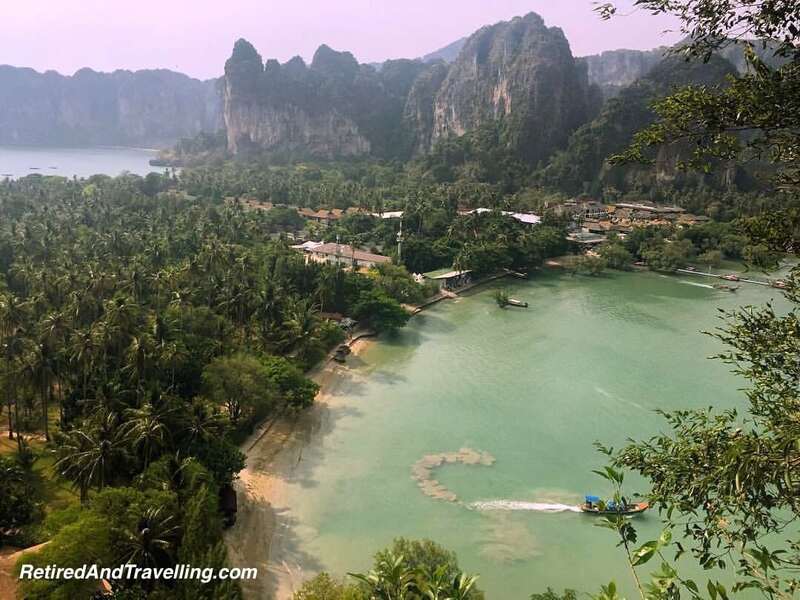 When our son Nick visited Railay Beach, he and his friend actually climbed the cliffs to get a great panoramic view of Railay and Tonsai beaches before relaxing on the beach. 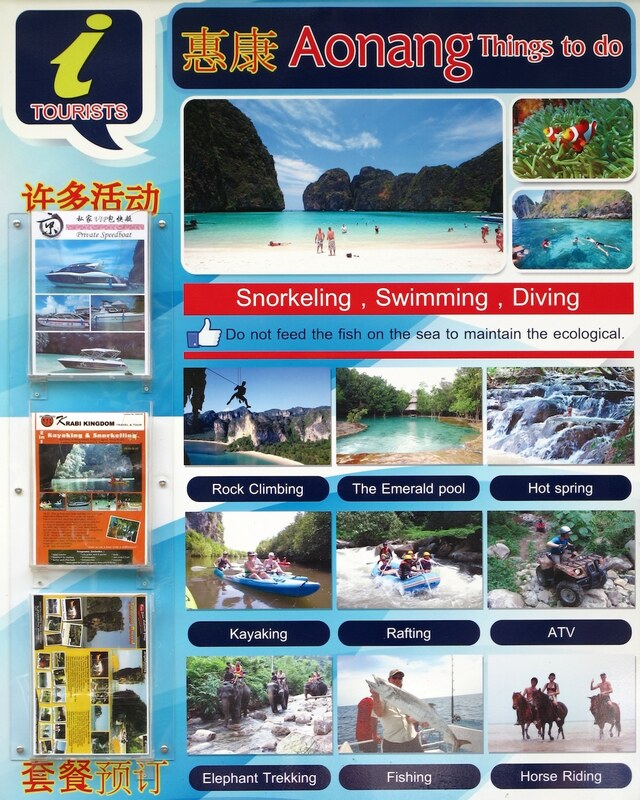 You can find lots of things to do in Ao Nang Beach. 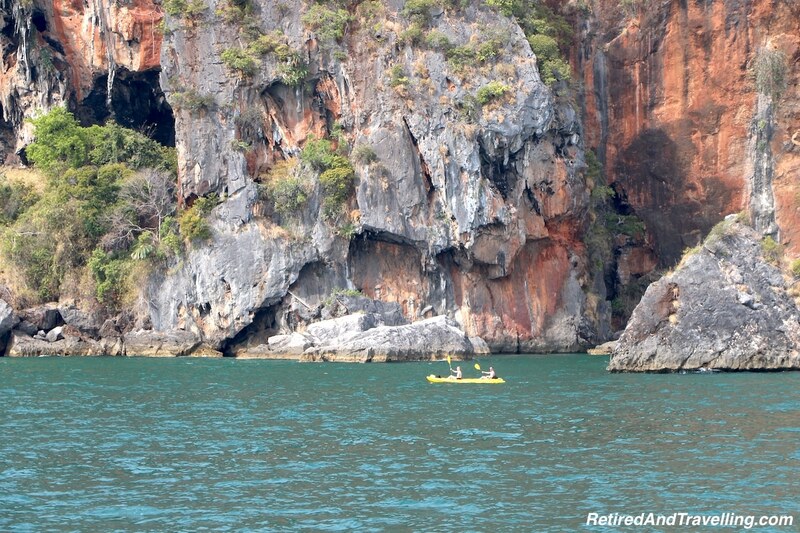 Whether you are looking for lazy, relaxation or more active adventures, you can find it all at Ao Nang Beach. 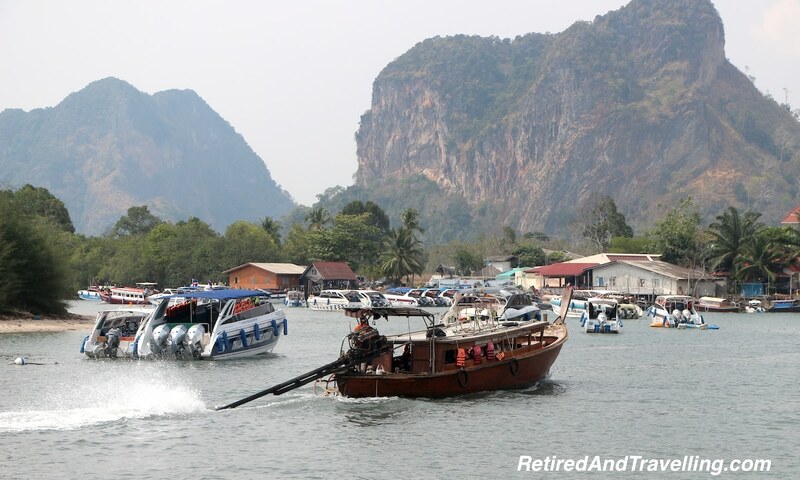 It can be a great base to explore the Krabi area. There are lots of tours and transportation options to wander locally or a bit more afield. 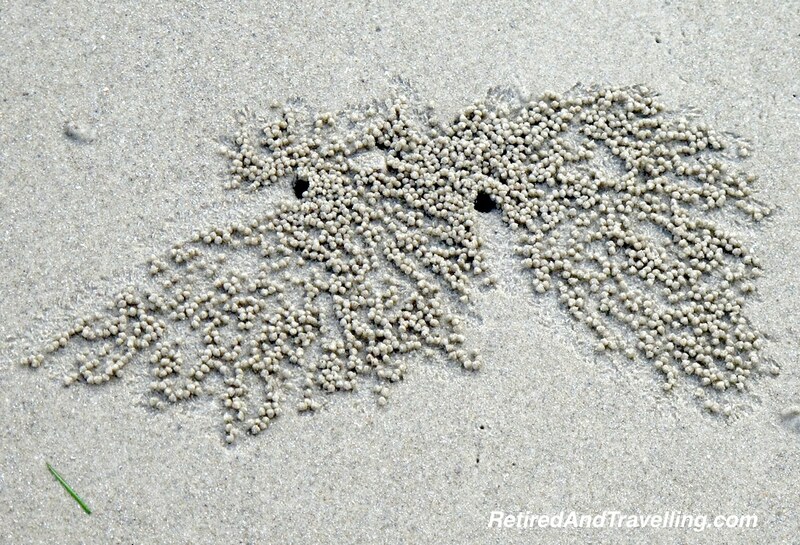 Did you visit Ao Nang Beach? 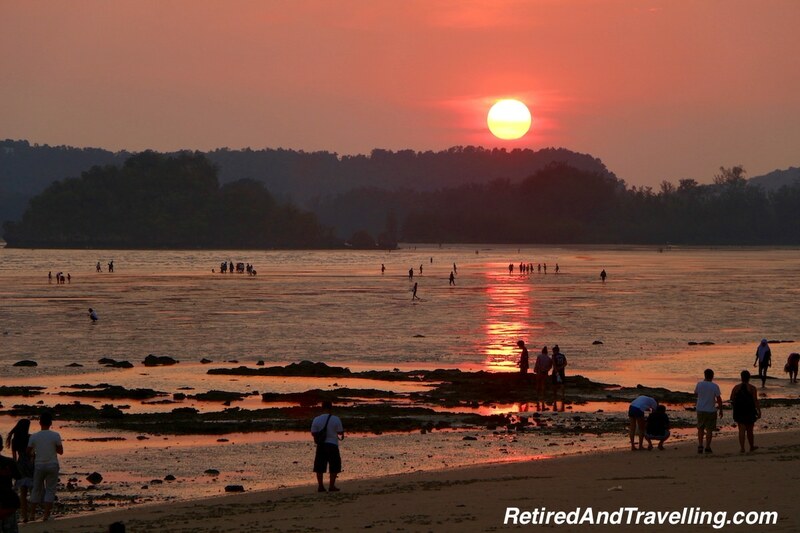 Did you find lots to do at Ao Nang Beach? What was your favourite day way to spend a day?